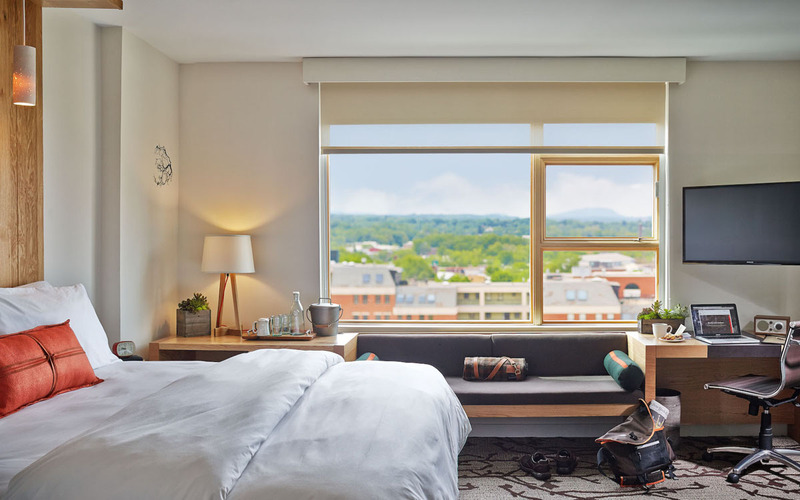 The furnishings designed for Hotel Vermont utilize classically rustic materials of the Green Mountains and reform them into a contemporary collection for hospitality use. 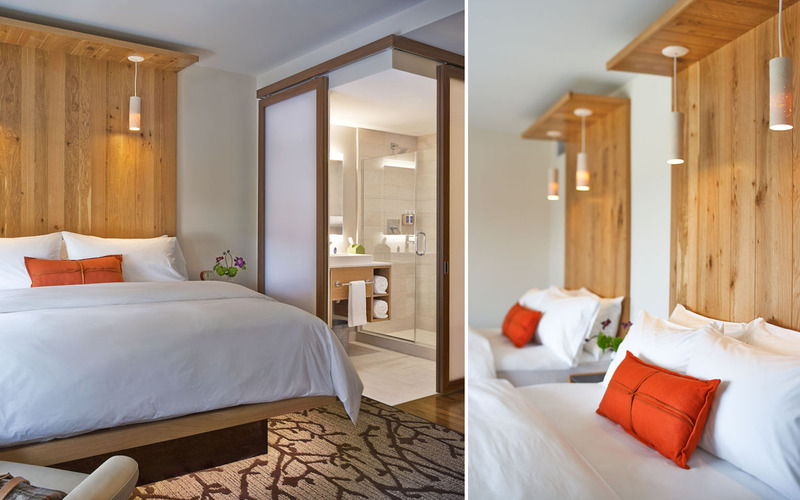 A floor-to-ceiling bed headboard is crafted from character-grade White Oak, with a cantilevered brim that supports a pair of intimate accent pendants. A built-in window seat makes maximum use of space in front of a window and integrates seamlessly with an adjacent desk and dresser unit.